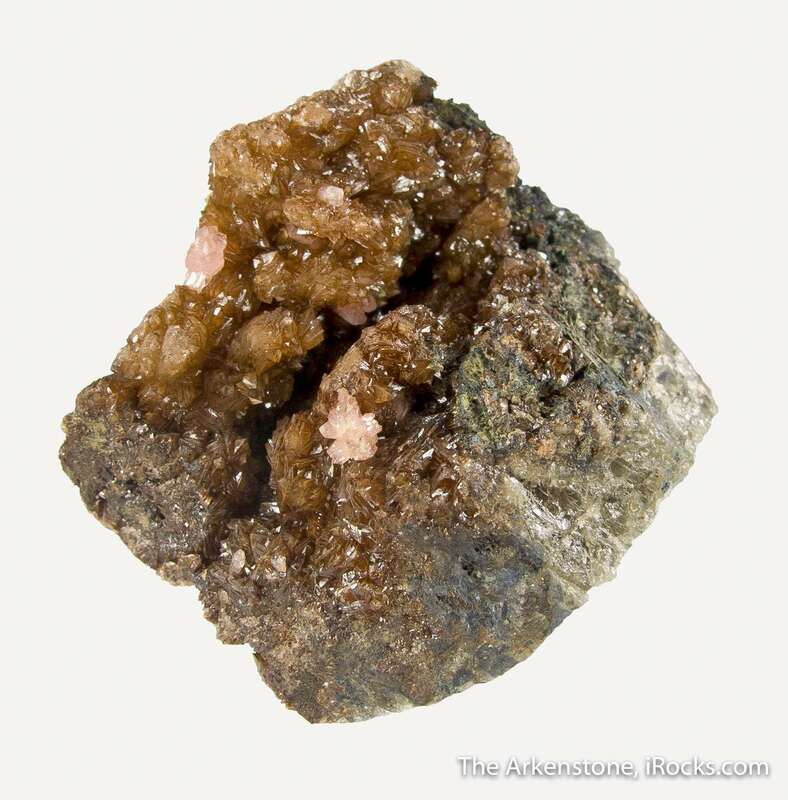 Iron and manganese phosphate minerals aren't uncommon, even in certain pegmatites. 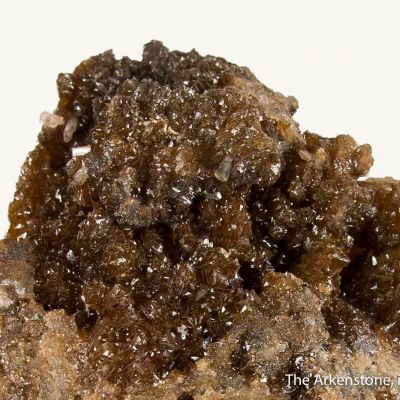 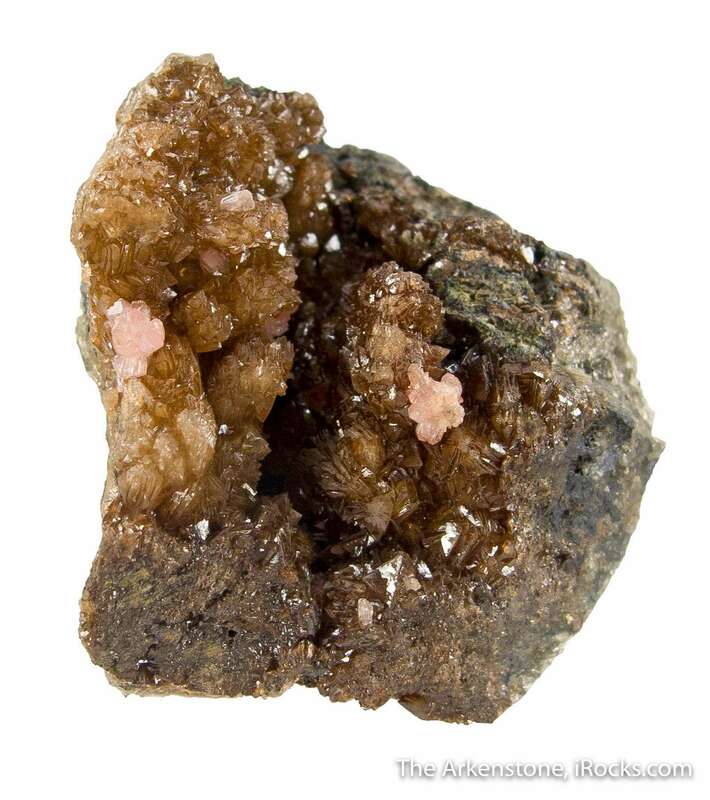 Landesite; however, is a rare hydrated iron manganese phosphate initially found in pegmatite at Poland, Maine and this piece is from a relatively new find at the Jacao pegmatite in Brazil (2014). This piece is similar to the other landesite in this update, but it's a "miniature" version! 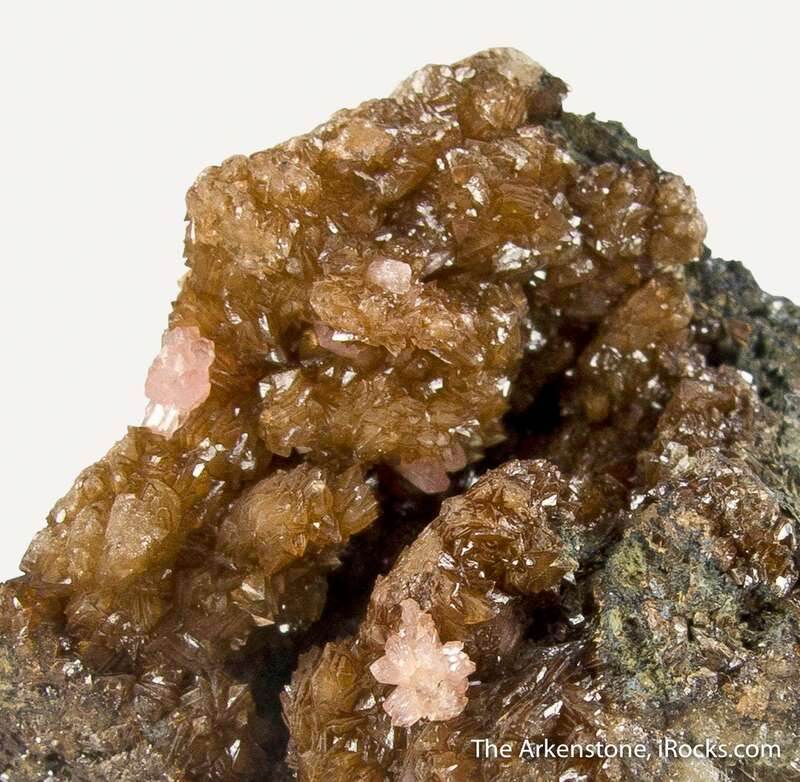 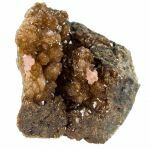 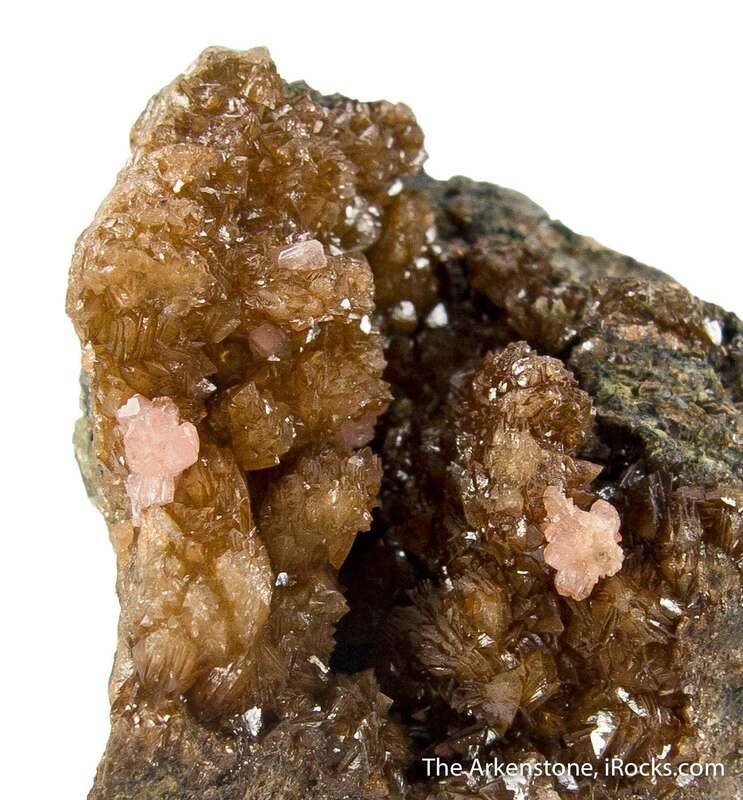 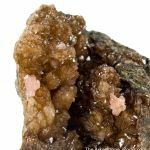 A portion of a vug in altered triphylite has a rich coverage of lustrous, brown, 1-2mm landesite associated with pink clusters of reddingite to 2mm. 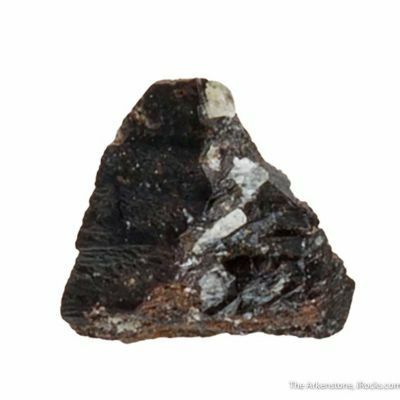 Blue subhedral vivianite blades are present on the rear of the piece. 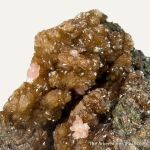 This is a very appealing piece for rare pegmatite phosphate species and we only know of a few dozen or so pieces of this material. 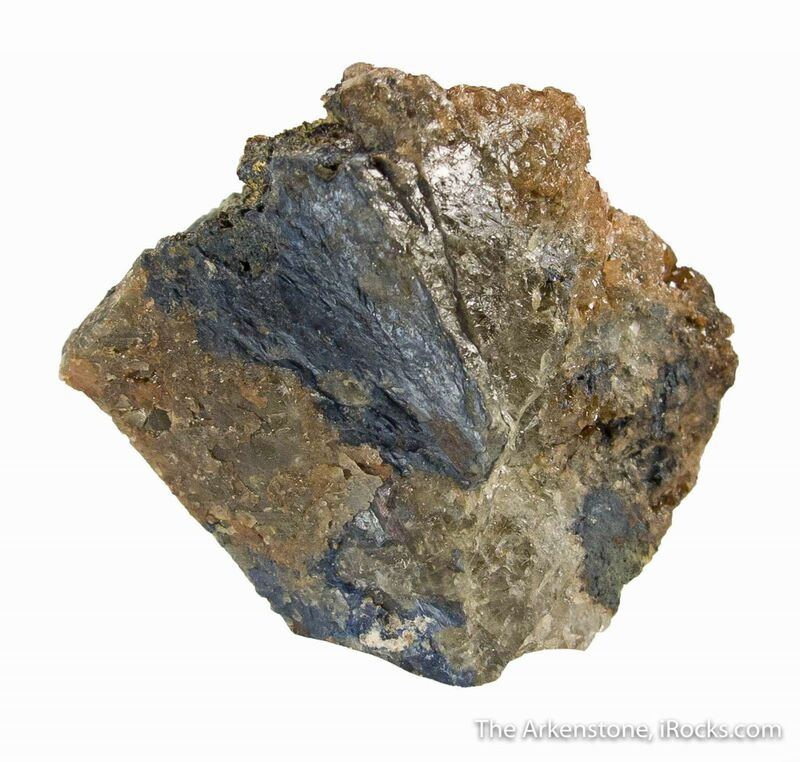 Gunnar Farber label.